With over 20 years of experience serving Fort Worth with superior Plumbing Services, you can rest assured that you will receive the very best service from our Plumbers. No matter what Plumbing problems you may be facing, An experienced plumber in Fort Worth will have your plumbing working like new in no time at all. At Lightfoot Mechanical, we are available for emergencies and scheduled visits anytime, in the Fort Worth area, we are on hand to take care your call any time, day or night. We have been trusted and recommended since 1983, so you can rest assured that we can provide a quality solution to any of your plumbing needs. A professional plumber in Fort Worth can deal with all of your plumbing needs no matter how big or small. When you experience leaking or broken pipes, leaks within your slab or clogged drains, we know just how problematic this can be. That is why we aim to provide quick and efficient service, so you won’t have to worry about dealing with these issues for long. We can help you with your water heater when it breaks, install an energy efficiency model if you need it, or detect potential leaks in your home – no matter what issues you come across, our service staff will handle the job fast and professionally. We put your satisfaction first, which is why we offer the full range of services in Fort Worth. While repairs are a big part of our job, we don’t want our customers to forget about regular maintenance. Regular service and maintenance can make a big difference to your Plumbing equipment and fixtures in the long run. By making sure that your home’s Plumbing is in full working order, we can help to avoid unexpected repairs and utility costs. While some Plumbing emergencies can arise suddenly, other problems build up over time. You want to make sure that you detect the problem early on in order to avoid unnecessary damage and hundreds of dollars in repairs. At Lightfoot Mechanical, we know how serious plumbing problems can be. They can cause big disruptions to your life, which is why we take our job very seriously. With our pledge of ethical and competent service, you can rest assured that a plumber in Fort Worth from Lightfoot Mechanical will finish the job to your complete satisfaction. We train our Plumbers to treat each and every customer with honesty and to work with integrity. When a Plumber in Forth Worth shows up at your door, we guarantee that they will adhere to our strict dress code and personal appearance policy. Our Plumbers take pride in their appearance and make sure they remain professional and courteous throughout. 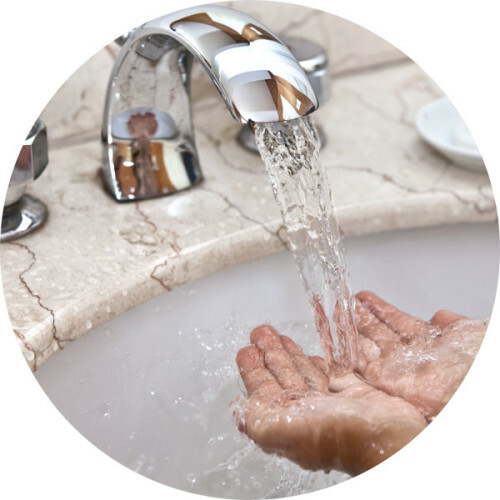 From leak detection to tankless water heater installations and repairs, our Fort Worth plumbers are here to take care of any plumbing needs you may have. We deal with both residential and commercial property owners, delivering outstanding customer service each and every time. We don’t just deal with plumbing problems in Fort Worth. Our plumbing contractors service surrounding areas including Weatherford, Aledo, Granbury, and Burleson. No matter where you are, simply give us a call 24/7 and we can help you with your plumbing needs.